Most internet marketers have a few adsense sites kicking about somewhere in their virtual real estate. Some may have a few sites to test a niche out,and some people make entire businesses out of creating adsense sites and have thousands of sites! The revenue from AdSense online allowed us to take our business offline. With the money we earned from AdSense we were able to purchase tour buses and hire employees. AdSense gave us the confidence to start our own company. There are a lot of problems basing your business around Google and Adsense. First, of course, is that adsense is really not a high paying monetization method – unless you have a lot of sites or a niche with a high CPC and a lot of clickers – which can present its own problems. A worry for adsense site owners is the black cloud hanging over their head that they can get banned from the adsense program at the whim of Google. Usually, when you are banned all accrued earnings are returned to the advertisers, and your chances of getting reinstated via the adsense appeal system are slim. The dread of receiving the adsense termination letter in your inbox can give you early wrinkles! There are a number of factors that could get your account banned including click fraud. Click fraud is basically visitors to your site fraudulently clicking on the ads that are being displayed. The “false” click is costing the advertiser money. If they are tracking their stats they will soon be alerting the big G that something is “fishy” with their ad campaign. Some people unintentionally commit click fraud by clicking on their own ads to see if they “work”. Others do so by driving traffic that is known to click to the site. That’s also a no no 🙂 This is often called Paid To Click traffic. Others may fall into the final category of being totally innocent of any click fraud. The situation may be like this, your little adsense site goes from making $1.15 a day with a cpc of about .02 . Overnight your cpc is now 25 and you have just made $40. Before you get out the party hats and streamers and start celebrating you should investigate the source of the traffic. You may find that you have been click bombed. Clickbombing is a method used by some webmasters to destroy their adsense competition in a niche usually. Basically your ads on your site will be intentionally clicked repeatedly within a short space of time. This will set both the advertiser and Google alert button off. If you are not checking your stats you could find a sweet adsense termination letter from G in your inbox (usually just before pay day) that tells you your account has been banned. It seems that the ban email from Adsense usually comes near the end of the payment period. I would suspect (but I don’t know) that irregularities are thoroughly reviewed before the end of each payment period. Luckily you are a WordPress user so you know that the WordPress community has already thought of ways to prevent click bombing on a site. Generally, this is done by using a plugin that limits the amount of times an adsense ad can be displayed or clicked on by a particular visitor (which limits the risk of an abnormal amount of clicks). Now some of you may think that you are now losing revenue because visitors aren’t getting the opportunity to click as much. The reality is that most people wouldn’t be visiting your site and clicking on the same ad over and over again. They would click the ad and leave your site to that address. If they were clicking on the same ad they either have short term memory loss or they aren’t your friends 🙂 Better to lose a small amount of ad revenue then risk your account getting banned. There are 6 plugins in the list that can be used to defend your site. Some of the plugins are free and the others are paid. Adsense Firestorm – this is a plugin mish mash that combines several “adsense” type plugins in one. The first is clickbomb protection with their built in security system. You will be serving ads with rotation,content targeting, and fighting ad blindness. Although this plugin is being updated the reviews on it are mixed. Many users reporting that although it is meant to work with all themes it doesn’t. The main issue appears to be ads not displaying. It’s early days yet and hopefully improvements will be made to it. Clickbomb Defense – I would like to give you some information about this plugin but the sales page is noticeably lacking in this department. If you can bear to endure the video you might find some information. I haven’t found any reviews on this plugin either or testimonials from users. CB Protect – this is free from the repository and is what I use. It’s very basic but I don’t need anything the other bits and pieces that plugins have as I have those features in other plugins. Ad Logger – this plugin offers a lot of features (not just related to clickbomb protection). I’ll just summarise some of the many features but I suggest you check it out if you do a lot of adsense sites. Who Sees Ads – this plugins lets you choose who sees your ads. You can select ads not to show to returning visitors. This ensures that a visitor will only click your ad once. You also need to ensure that your adsense code is not placed on other sites that would use it maliciously. 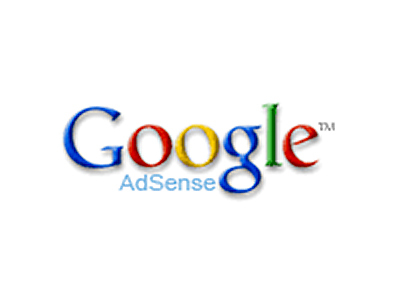 To do this you simply need to authorize your site in the Google Adesense account management. If you suspect that you have been clickbombed then you may wish to submit a ticket to the big G notifying them of your suspicions. Check your stats first and pay attention to the ip addresses, number of clicks and time on site. You may also want to remove your adsense ads from your site at this stage (to prevent further click activity) and replace it with some non niche related banners with a tracking url. Chances are if these non related banners are getting massive clicks then your site is being targetted by click bombers. If you are not sure if your site was banned from the google adsense program you can check by going to the Google Sandbox. If you want to learn to publish adsense sites that earn you an income then my recommendation would be to pick up the this adsense course. You will learn how to create adsense sites the right way for long term success.